It was mentioned in passing this past weekend. 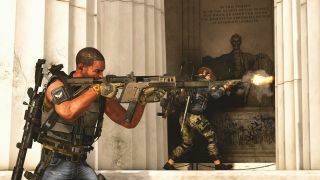 The Division 2's private beta kicked off last Thursday and ran all weekend for players that pre-ordered the game or were lucky enough to nab a spot by signing up on the official site. While there were some problems with the game client crashing as well as invites, Ubisoft was quick to address these issues and offer workarounds. An open beta would give developers a chance to properly stress test the servers as well as iron out any last minute bugs that arise. Plus, if you didn't get a chance this past weekend, it means everyone can sample the game before it launches in March.